Dubai, United Arab Emirates, April 15, 2019: DIVAlicious fashion exhibition, Dubai's talk of the town renowned show that made its presence felt in 13 major cities across the globe has announced its upcoming event for this year. The highlight of this edition will be the debut of three designer brands for the first time in Dubai which include MXS by Monisha Jaising and Shweta Bachchan Nanda, Pernia Qureshi Brands and Manish Malhotra Haute Couture Makeup – all taking their first steps internationally through DIVAlicious. The 2-day exhibition will take place on Saturday and Sunday, April 20 & 21, 2019, at Roda Al Murooj hotel in Downtown Dubai. Shoppers will have the chance to indulge in shopping from 9 am until 9 pm and choose from over 50 exhibitors with affordable luxury fashion for men & women, high street fashion, western & ethnic apparel, accessories, gifting and d�cor, apparel for festivities and weddings, fashion accessories & jewellery and even healthy treats. The event will also witness the launch of three designer brands for the first time outside India. MXS – a luxury ready-to-wear brand by Monisha Jaising and Shweta Bachchan Nanda that strikes the balance between cool and classic and provides a modern perspective on iconic wardrobe pieces. Also, stylist and fashion entrepreneur; Pernia Qureshi; will unveil her ‘Pernia Qureshi Brands' which caters to all kinds of woman, and all labels personally designed and curated by Pernia and her team. 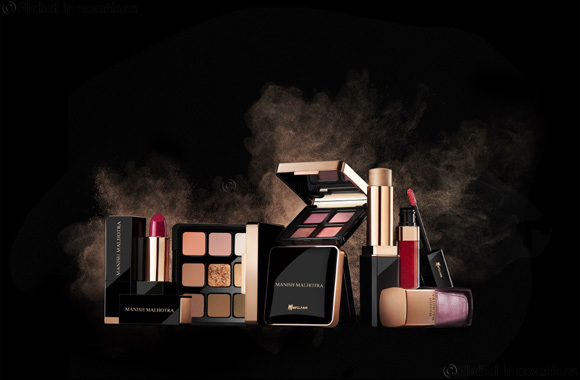 Finally, after styling some of Bollywood's biggest movies and stars, designer Manish Malhotra has collaborated with European makeup brand MyGlamm for a luxury hi-shine makeup collection– The Manish Malhotra Haute Couture Makeup. Free entry and valet for all and credit cards are accepted so Hurry Up and Don't Miss Out on this year's exciting DIVAlicious event.